A chronological discussion of the history of British music, through its musical instruments. The United Kingdom was famously described as 'The Land Without Music' ('Das Land ohne Musik') in the title of a 1904 book by German music critic Oscar Adolf Hermann Schmitz. At the time Schmitz wrote this, few would have disagreed—even the British themselves. Schmitz referred to classical music. Until relatively recently, British classical musicians and composers were often overshadowed by their continental counterparts, but to claim that this sceptred isle lacks strong and vibrant musical traditions is manifestly untrue. From ancient Celtic battles to modern arena concerts music is woven into the very fabric of life here, and always has been. 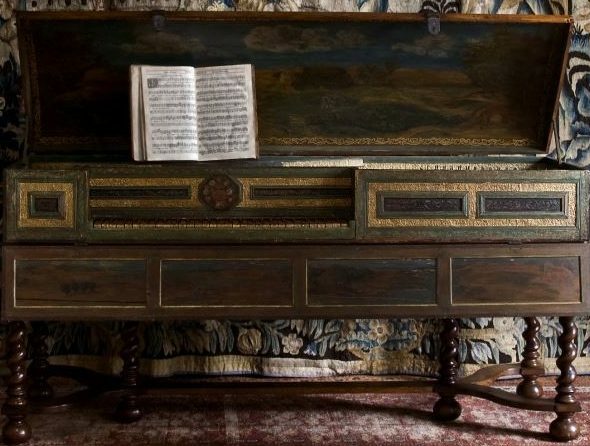 The UK has a long, unique, and fascinating musical history, and the story of Britain can be told through its musical objects. Here are some instruments with distinctively British accents, and check back soon for the next part of the series, exploring instruments from the 17th to 19th centuries. This instrument is a replica of an ancient 2000 year old Celtic war horn, reconstructed from fragments preserved in the National Museum of Scotland. The carnyx featured a bill shaped like a dragon's head, and was intended to intimidate and terrify the enemy as an army entered battle. Besides playing pitches like a conventional natural trumpet, the instrument was also capable of making strange sound effects. When played, the tongue in the dragon's mouth actually moves as if it were roaring. Viols are a group of bowed stringed instruments that were popular throughout Europe before the mid-18th century. 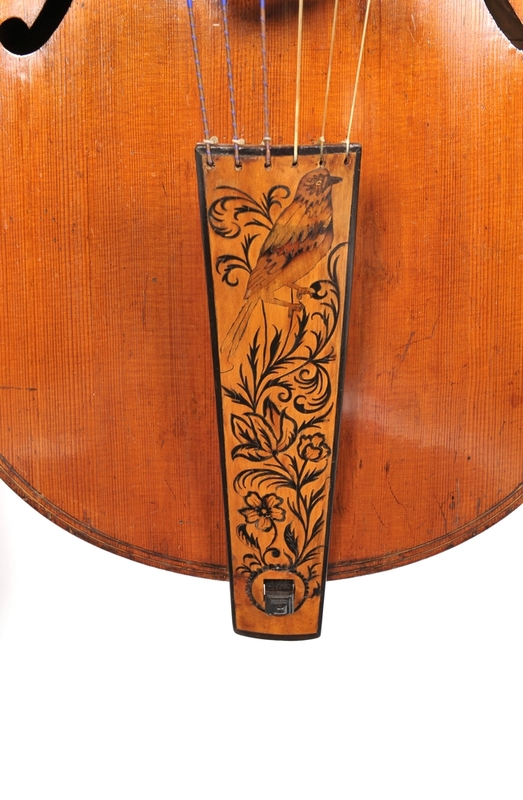 Although they look like violin family instruments, viols were constructed and played differently, with an intimate sound well suited for playing in the home. There was an important social difference as well. 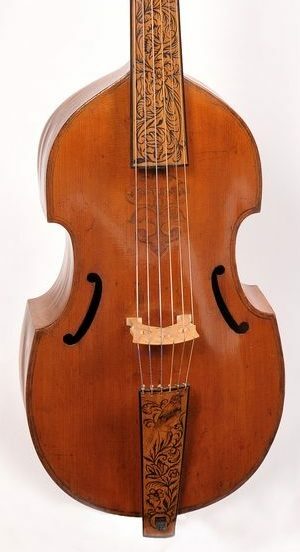 While violins, violas, and cellos were often played by professionals, viols were typically the province of the genteel amateur - especially in England where this viol was made. 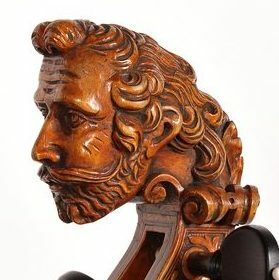 This audio sample comes from a division viol made in London in 1692, from the collections of the Royal College of Music Museum. When we think about British royalty and music, we might imagine the fanfare of trumpets at a coronation, or perhaps think of the Queen attending the Proms. We typically imagine the monarchy listening to music rather than playing it. 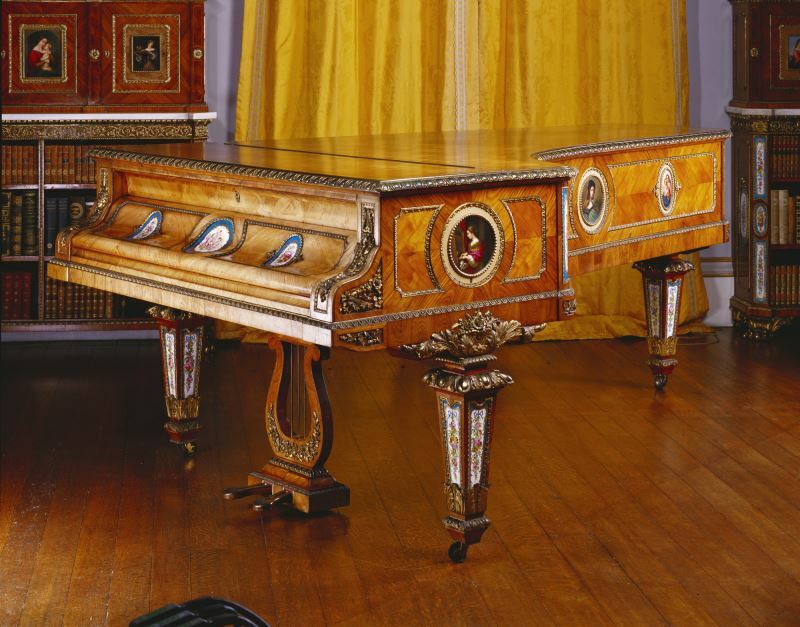 However, over the centuries, many British royals have been keen players who appreciated music and its instruments. 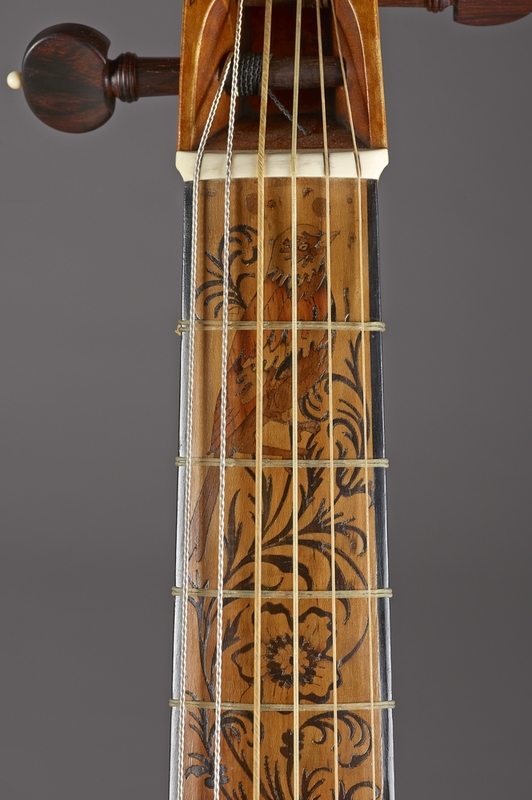 Although this citole dates to 200 years before her reign, this instrument was owned by Queen Elizabeth and is decorated with her coat of arms and the coat of arms of her court favourite Robert Dudley. © The Trustees of the British Museum. This virginals (like trousers, virginals, although being singular are almost always referred to in the plural) belonged to King Charles II and was kept in Whitehall Palace.